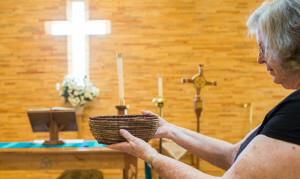 There are several ways to donate financially to St. Brigit Episcopal Church. Collection plate. When you worship with us, feel free to contribute during our service as the offertory hymn is played. Baskets will be passed. We use funds for church operations — and for outreach opportunities in the Tri Town area, the county, and state. Be assured that we are as responsible with your money as you are, and we take our own stewardship very seriously. Thank you for your generosity!